It’s almost that time, y’all! Start putting together your Halloween costumes, mull the cider, spice up your lattes. The chlorophyll is breaking down in the leaves </nerd>… Fall is just around the corner! While I do enjoy the summer heat (for all of about 2 weeks at the beach if we are honest here), the crisp breeze around a warm blanket on a star-filled autumn night with friends and family is just about as perfect as it can get. I decided to start working on some new recipes and just jump straight into the season. 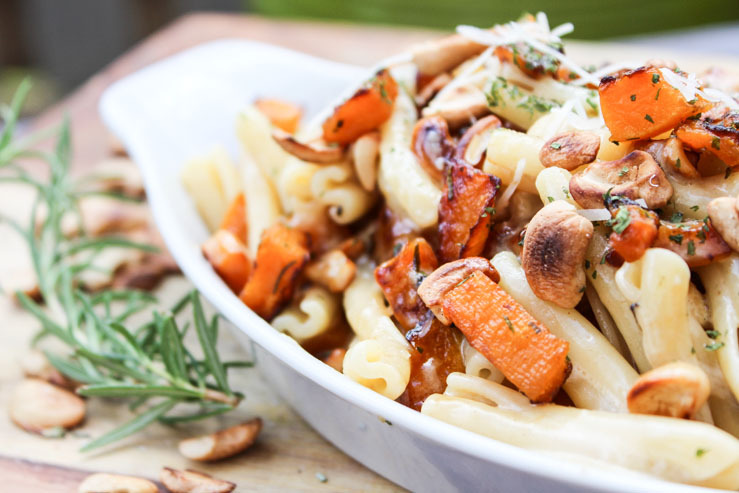 The first is this Brown Butter Butternut Cream Pasta. 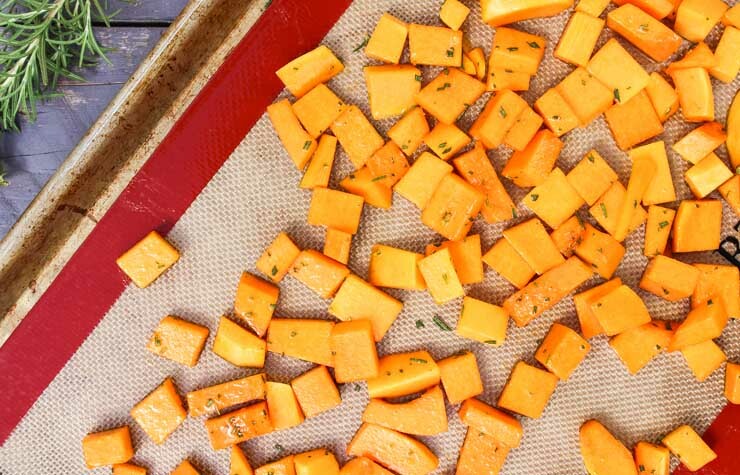 Butternut squash, caramelized with a brown sugar rosemary combo, goes together like Hocus Pocus and punkins with a brown butter cream sauce. Top with sweet and salty dry roasted cashews and you are ready to kick things off. 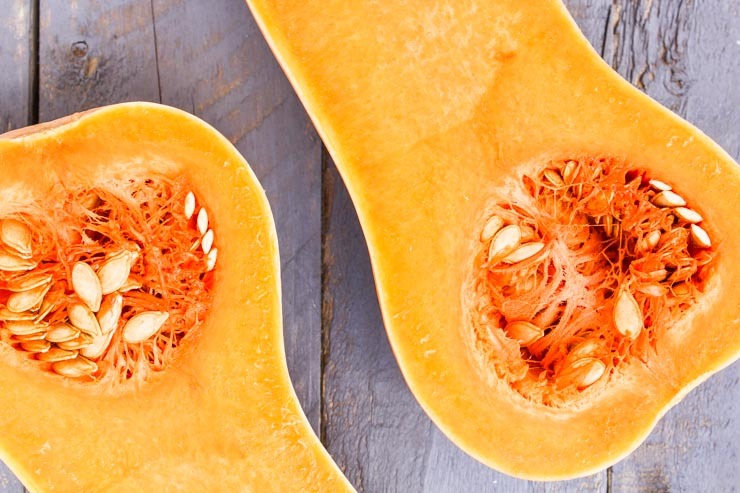 Butternut squash is one of those delicious winter vegetables (actually… a fruit. But, we’ll go with it.) with a ton of versatility. 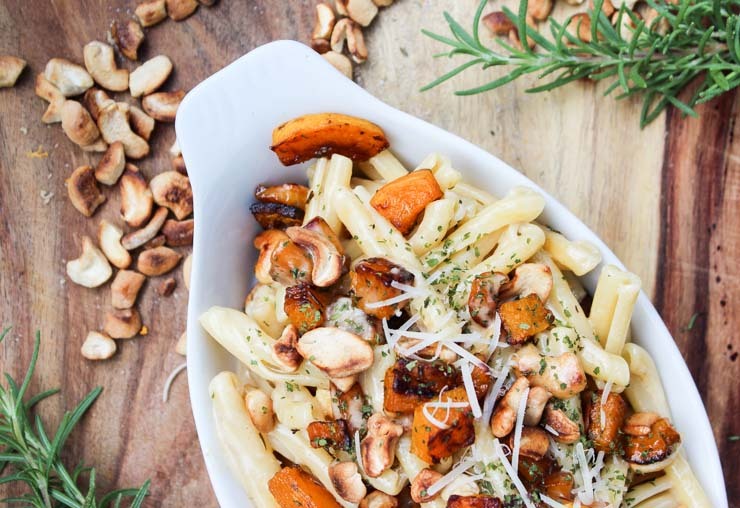 Similar to pumpkin in taste and texture, you can shred it into a faux pasta, grill it for a sweeter snack, or chop it into cubes like we will do here. These suckers have a pretty tough exterior. Kinda like the mean lady on the block that doesn’t pass out Halloween candy. Once you get through it, it is cheerful and sweet. And usually quite rich. Exactly the same, really. You can easily peel these with a bit of umph. Cutting it in half may take a bit of careful work. Perhaps a chainsaw would be easier. 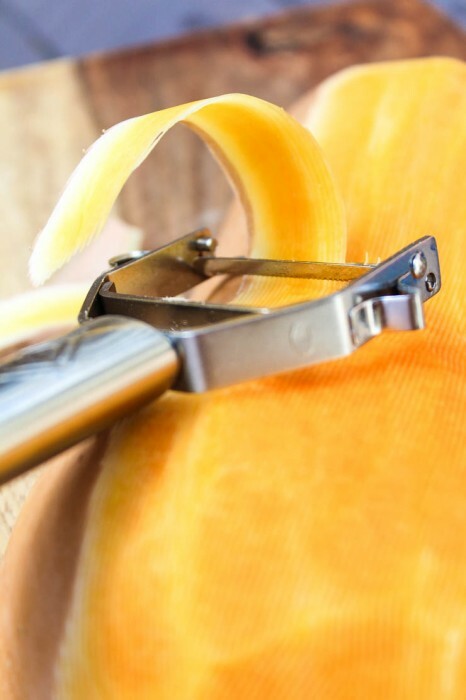 Once it is split and peeled, the rest is simple. Even though squash will caramelize pretty well on its own when roasted, you know that I am going to add a bit more sugar to help it along. Brown sugar– because, well, it’s just what you are suppose to use in the fall. A bit of fresh rosemary and butter makes for a sweet and savory result. I seriously could eat a bowl of this on it’s own. It would make for a great snack. Maybe even a little lunch hash with the leftovers tomorrow. Who am I kidding? There will be absolutely no leftovers once you mix this with the sauce that we are going to make. Brown butter (usually with sage) is the typical wife to these little golden nuggets. I can’t say that it isn’t absolutely delicious. It is. While I enjoy a pasta tossed in a thinner accompaniment, it just doesn’t hold a flickering jack-o-lantern to a creamier, thicker sidekick. This is the South, after all. Here she is, kids. (Best costume award goes toooo….) The caramelized cashews give it the nice crunch that is needed to balance the softer squash. We used this same trick of adding a bit of sweetness by dry roasting cashews in our Pesto Three Ways post. It adds a great depth of flavor and character to the dish. Overall, this is a quick and simple recipe that can feed one or a crowd without much effort. Bake this up on on of those cool autumn nights, grab a cider or ten and enjoy dinner with friends on the lanai (with cheesecake afterwards, of course). That’s what fall is really all about. Melt butter in microwave in dish. Add brown sugar, garlic salt, rosemary. Mix well. 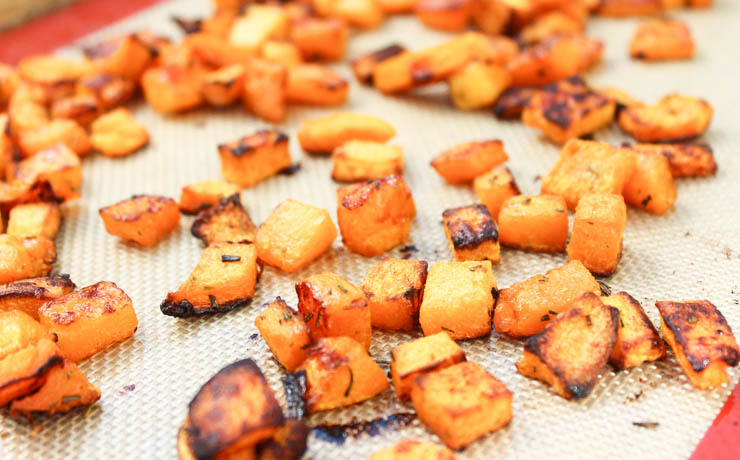 Toss with cubed butternut squash. 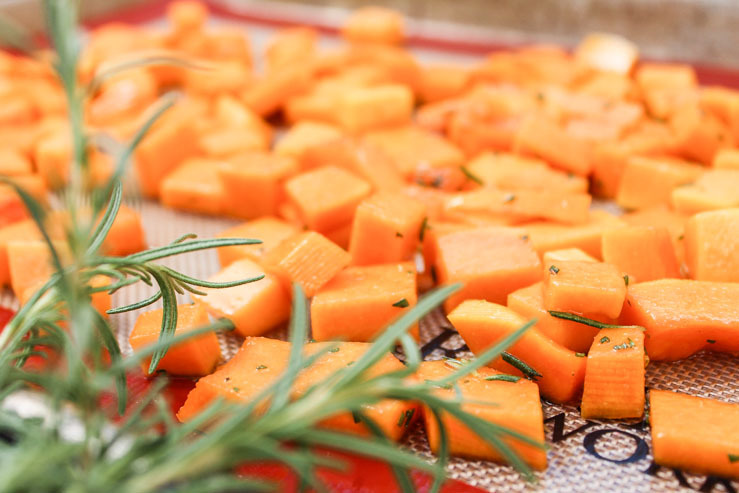 Lay in single layer on parchment or baking mat on sheet pan. Bake until caramelized, about 40 minutes, turning/tossing every 10 minutes as needed. Remove to cool to handle. In a dry pan over medium heat, roast cashews until golden and caramelized to taste, stirring as needed. Add salt and toss well. Remove to cool. Heat butter with salt in saucepan over medium-medium/low heat until starts to tint to a light brown. Be cautious, as the line between brown butter and burned butter is very fine. Remove from heat when browned, add cream and stir continuously. It will bubble quite a bit. Keep stirring until mixed. Drain cooked pasta well. No not rinse. Place pasta back in warm pan of brown butter cream sauce. Mix in butternut squash, onion, half of the cooled roasted cashews. Toss together. Top with remaining cashews and serve warm. Enjoy! 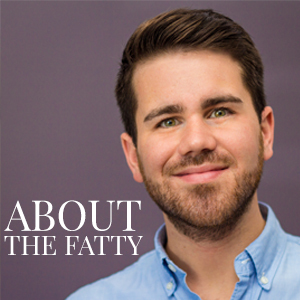 Visit SouthernFATTY.com for more recipes. What are you looking forward to the most for fall? Yell below and let us know! Made it for lunch, it was delicious ! The brown butter really adds flavour ! Thank you for sharing the recipe ! Awesome! Glad you enjoyed it. It’s a favorite fall dish for me still. I wonder if you have written a cookbook ? I’ll definitely buy it ! So creative, lots of wonderful flavors and great pictures! Pinning! Picture is awesome, my favorite to date. I now want to eat at your house. I love Fall and you captured it with food. Thank you! Certainly appreciate such a compliment.